Fishing for salmon and sturgeon continues to produce some great results, the chum salmon are starting to take over many of the rivers in the Fraser Valley but there are still some Coho around as well. Our canyon tours are finished for the season but if someone is looking for a private tour we still have a few dates available over the next few weeks. See below for more detailed report. 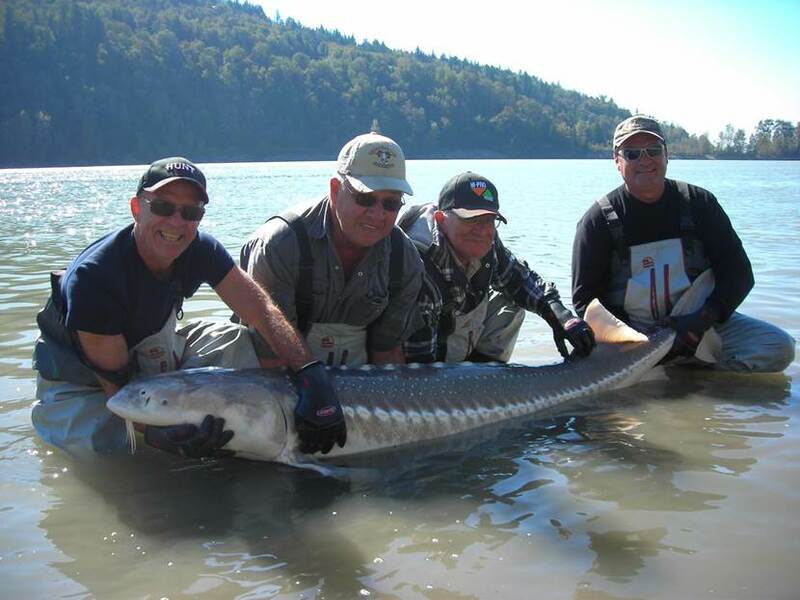 Sturgeon fishing on the Fraser has been fair to excellent this past week, numbers of fish caught are down a bit from last week but still some great days with fish over 7ft being caught on a daily basis. Fresh Chum roe has been the best bait for us but lamprey and stink bait is also producing some good results. Notice the long nose on this fish, canyon fish are a bit different than lower river fish as they must navigate much faster water in the canyon, this fish are brutes to land. Salmon Fishing has been fair to good for both Chum and Coho, last week the Harrison River was fishing really well as was the Vedder, Dewdney, Stave and main stem Fraser. This week there was quite a bit of pressure on the Harrison, with all the boats roaring up and down the river fish are being spooked to the shoreline and back channels. The Mainstem Fraser has been fishing very well for Coho using bar fishing or casting spoons and spinning , Vedder is still producing some good Coho and fresh Chum. Here is a beauty harrison River Chum Salmon caught on jig fished under a float. If you are looking to catch some chum salmon, float fishing with jigs can be deadly. We like to use Pink/Purple jigs tied from maribou on a lead headed jig. You can also add some chartrueses for some added brightness. The key to fishing these jigs is getting the jig close to the bottom and allowing the jig to dead drift. Once the jig starts to come across the current, reel in and cast again. Casting Spoons and spinners are working well for Coho as is fly fishing, the key to sucess is the slow retrieve, if you think you are retrieving slow enough, slow down a bit more. As mentioned in previous posts, the Gibbs Ultra Lure or Gibbs Crocs are the two best lures for Coho. Colorado blades work well for those who prefer to cast spinners. 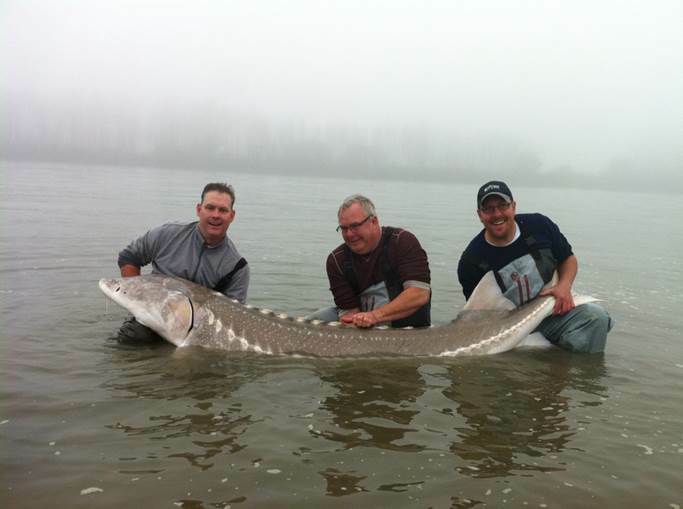 As I was writing this report,a text came in from the river with a beautiful sturgeon caught by our guests from Nedco with STS Guide Braeden Szlabon, this fish measured 103 inches to fork. As you can see by the picture above, there are still plenty of big fish to be caught this season. November is one of our favorite months so if you have not booked yet for this season it is not too late. Hells Gate Tours are finished for the season but we are still offering private group trips until mid November. The water is big and cold so not a time for getting wet but the scenery is spectacular during Fall. 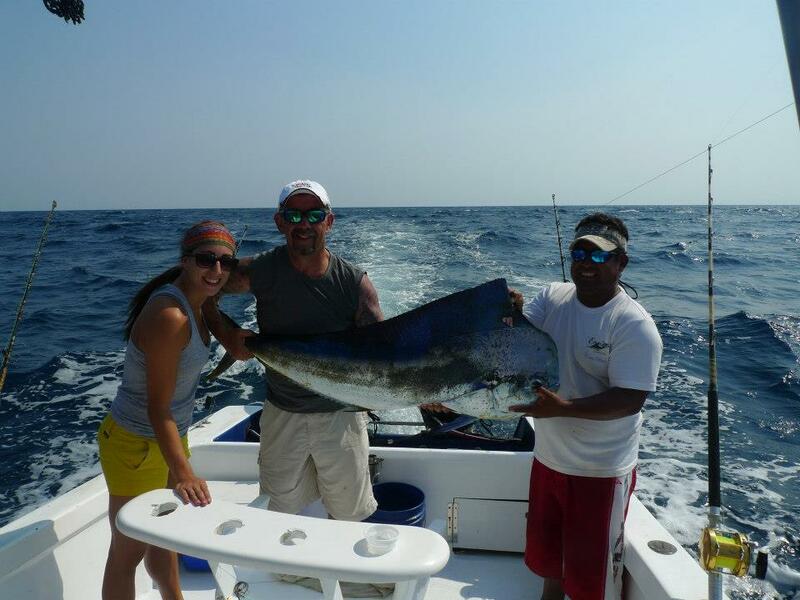 A few more trips up the canyon then off to Costa Rica to fish for Roosters, Sail Fish and Mahi mahi. Hope you all have a great week, see you on the water. « Nov 7 Fishing Update. 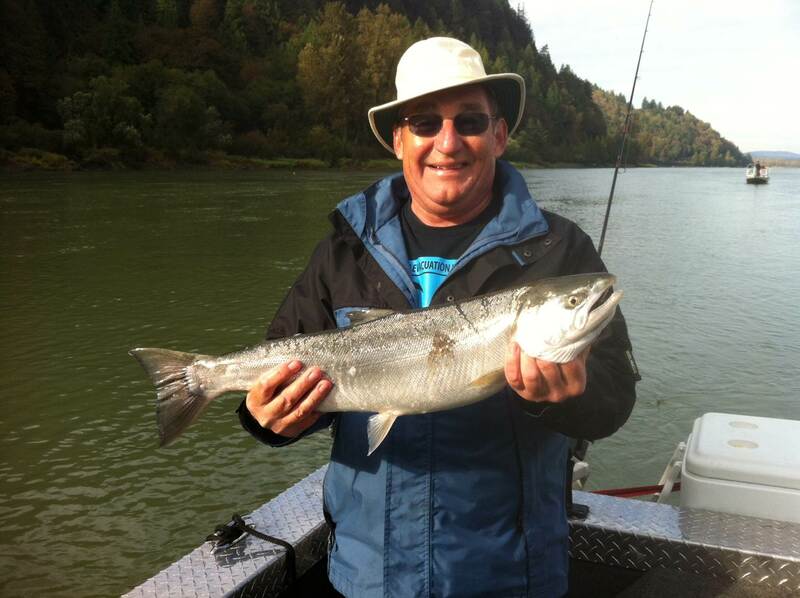 You are currently reading Oct 21 Fishing Report Update at Hells Gate Jet Boat Tours Blog.